In a Manhattan public health clinic, Jesus Barrios draws a patient’s blood for an HIV test. In a Brooklyn living room, Aurelio paints a family’s fireplace. In a Queens nursery, Ruby cradles the toddler she cares for while his parents work. Jesus, Aurelio and Ruby are all undocumented. Their labor isn’t legal, but without it, a New York City patient might not be tested for disease, a home might not be painted or a child might not be fed. 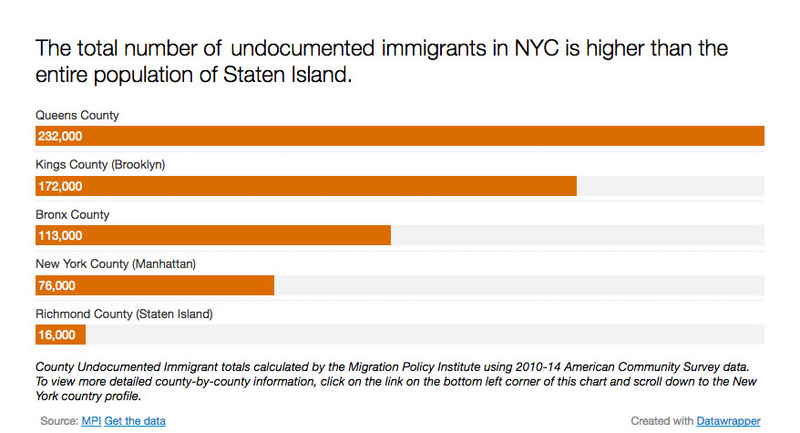 The U.S. houses an estimated 11 million undocumented immigrants. Some 575,000 – the highest concentration in the country – live in New York City, accounting for 8 percent of the city’s workforce. To President Donald Trump, the undocumented population threatens American job security. “Uncontrolled, low-skilled immigration continues to reduce jobs and wages for American workers,” Trump said on the campaign trail, promising to deport at least 2 million undocumented immigrants. 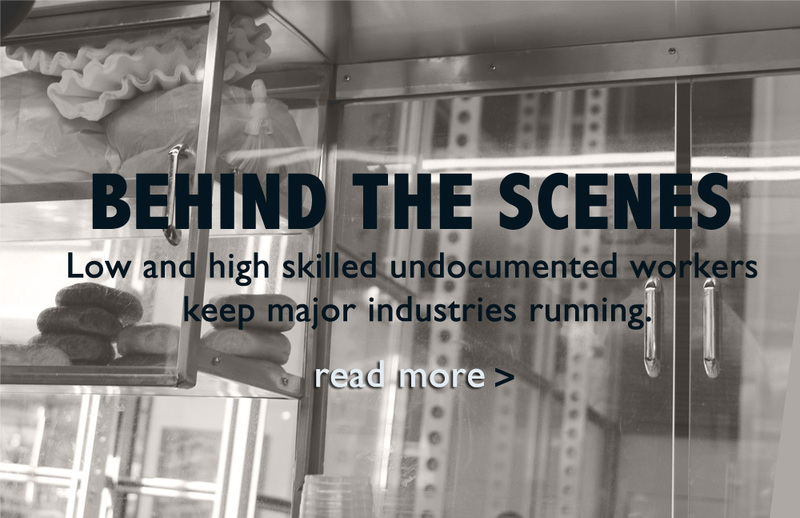 This report seeks to spotlight who these undocumented workers are and how their labor, spending and tax contributions shape the city’s economy. To do so, we pored through research, spoke to experts and listened to employers and workers, most of whom we refer to by only their first names because they fear retaliation. The city’s undocumented immigrants come from as far as Central America, the Caribbean and China; less than one-quarter come from Mexico. They contribute $40 billion to the state’s economy, accounting for 3 percent of its GDP. They cost the city when they attend school or go to the emergency room, but they don’t qualify for federal welfare. Instead, they contribute to Social Security and pay $1.1 billion in taxes. They own homes and businesses, and some work in elite professions – like Julissa Arce, a Mexican undocumented immigrant who earned at least $300,000 as a Goldman Sachs executive. The majority, though, flood domestic work, construction and food service jobs and earn minimum wage, which in New York City ranges from $10.50 to $11, depending on the employer’s size. Note: The chart above reflects numbers computed by the Migration Policy Institute. The 575,000 number we use in the text and cited by the Fiscal Policy Institute relies on computations from the Center for Migration Studies. The Center for Migration Studies and the Migration Policy Institute used the same 2014 American Community Survey of the U.S. Census as the basis for their computations, but they arrived at slightly differing conclusions, explaining the numeric discrepancy. 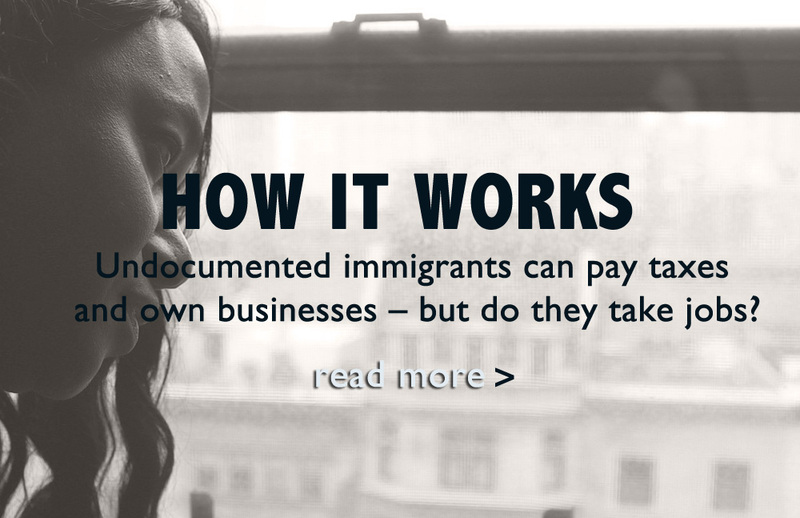 Undocumented immigrants are vulnerable to unregulated hours, abuse and wage theft – not getting paid as much as they were promised or not at all. Workers we interviewed earned as little as $5 an hour. Advocates expect to see more exploitation as Trump’s anti-immigrant policies embolden unscrupulous employers and silence complaints from workers who fear deportation. But as threats increase, New York City rallies to protect undocumented workers and the jobs they fill. Deporting undocumented immigrants would cost the state nearly $800 million and cut 340,000 jobs. With conservative economic experts anticipating a national worker shortage by 2020 and New York’s unemployment rate – 4.3 percent in February – hovering close to what is considered full employment, experts fear that losing undocumented immigrants could cripple New York City’s economy. Invisible Hands was produced for the CUNY Graduate School of Journalism’s NYCity News Service under the guidance of Judith Watson, Lisa Armstrong and Christine McKenna.